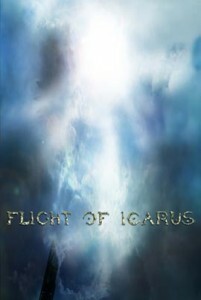 We are thrilled to present our newest film property to you, Flight of Icarus. This exciting action adventure is set in the future, but based in riveting Greek Mythology of the past. This amazing story, built around the Greek myth of Icarus, encapsulates all the intense dynamics and energy of a hero, who must find the faith to go against all odds to find freedom, not only for himself, but for the world around him. Icarus must risk everything and fly over the unknown borders of Labyrinth in order to see if there is hope beyond the growing oppression of the gods. Life seems hopeless with an imprisoned father, betrayal of his best friend, increasing control of the gods, and the capture of his love, Soma, by Hades himself. However, the greatest triumphs always must start with the greatest risks, this is Flight of Icarus.